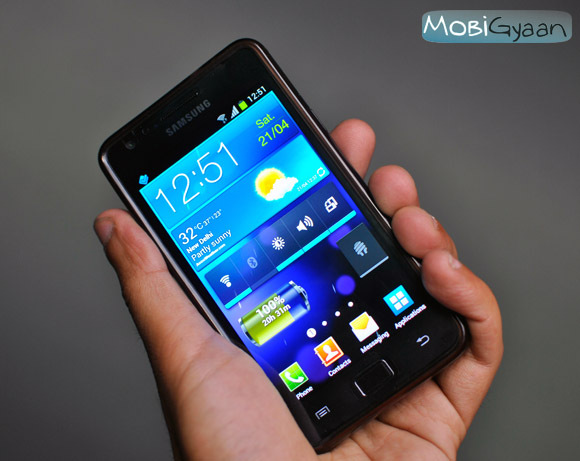 Device manufacturers have started rolling out the latest Android update for their devices and today we have our hands on the Galaxy S II running Android 4.0.3 which is the official stable build. At first look, it seems just like Gingerbread, which is what really put us off. Samsung hasn’t done a good job with Ice Cream Sandwich for their flagship device. 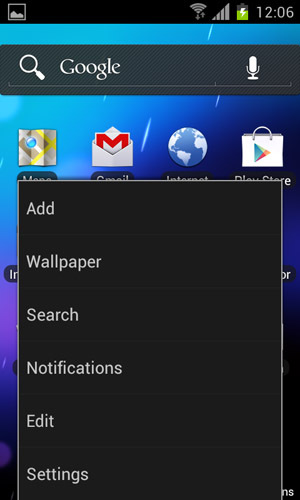 The TouchWiz UI is still present and at first glance you would hardly find any difference. However there are certain changes and the device is a lot smoother, faster and much more responsive than ever. 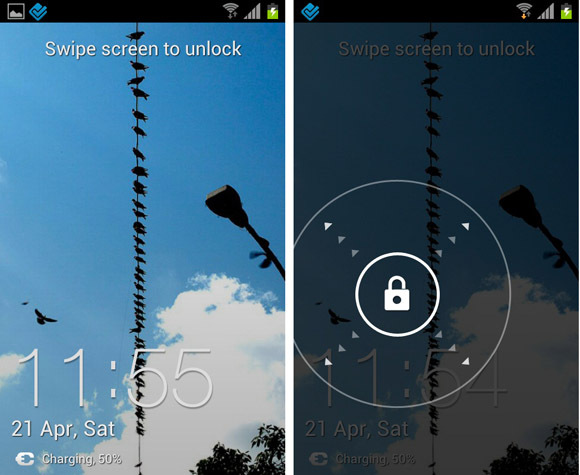 The noticeable changes include the lockscreen, where earlier you just had to slide the screen to unlock; now when you press on the screen for long a large lock comes in and just slide it to unlock your screen. Also face-unlock has been added, which doesn’t work half of the time, so we hope further updates will improve it. The UI is pretty much same, except for a few changes. The notifications drawer has the same 5 shortcuts to turn on/off your Wi-Fi, Bluetooth, GPS, Sound/Silent modes and Auto Rotation. The only change is that now you can remove a certain notification from the notifications drawer, while earlier you only had the option to clear all of the notifications. The notifications bar on the top seems to new icons now and some of them have been repositioned as well. When you go to your settings key, a new taller menu pops up instead of the regular long menu with icons. 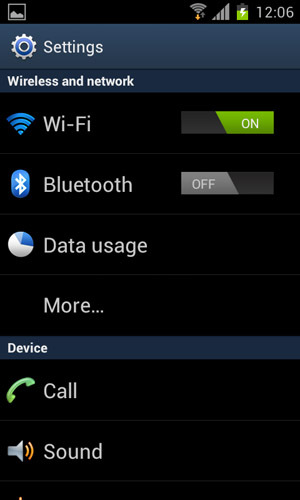 Upon entering the settings you’ll see that all the setting are now grouped into four different sections including Wireless and network, Device, Personal and System. 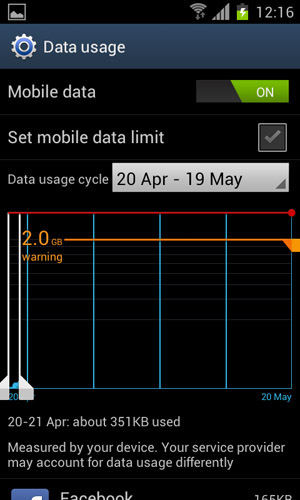 There is also the addition of Data Usage which gives you details about your data usage, which is a great help if you have limited data plans. The task manager has been updated to the tradition ICS task manager which allows you to just close your apps by just sliding them out. The browser has also been updated with a new UI and it is now pretty much like the browser you have on Android Honeycomb tablets. 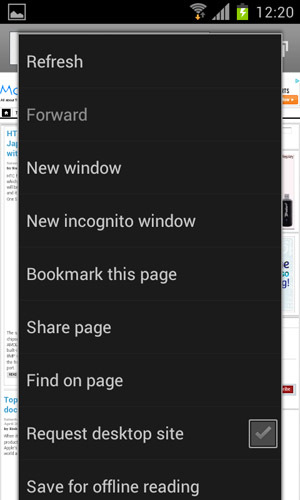 It is pretty much like the Chrome browser giving you a lot of features and flexibility. Other minor changes include SNS integration in contacts, a little improvement in the Music Player with the addition of lyrics feature, slight tweaking of the camera, stereo audio recording at about 130Kbps of bitrate and 48KHz sampling rate, improvement in battery and so on. 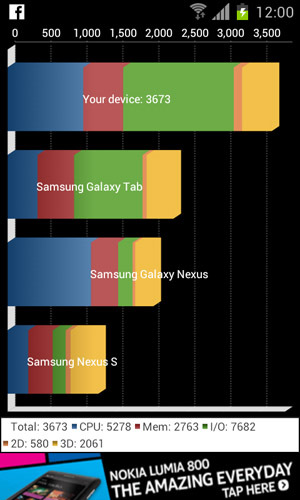 We also did a benchmark testing and found that the device scored better than the Galaxy Tab and the Galaxy Nexus. Sweet! 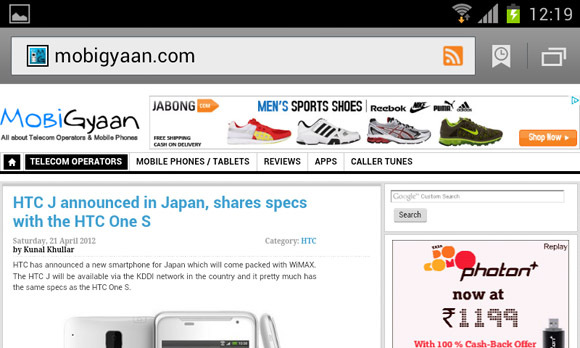 So, ICS on the Galaxy S II is not that bad as it improves the usability of the device. Of course there isn’t a lot on the visual appeal, as there are no ICS wallpapers or new widgets, and some us will be really daunting Samsung for that, but all in all the update works pretty well for us. 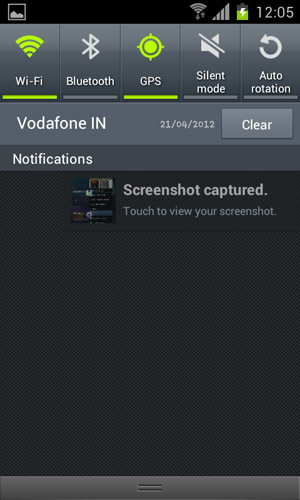 The official update should be hitting India anytime now, so keep your S II ready to taste ICS sweetness.